Let us turn your outdoor stonework dreams into a reality. We do all of our fabrication work by hand, without the use of computer-controlled machines, which enables us to achieve custom styling details and a high level of finish not possible with these machines. 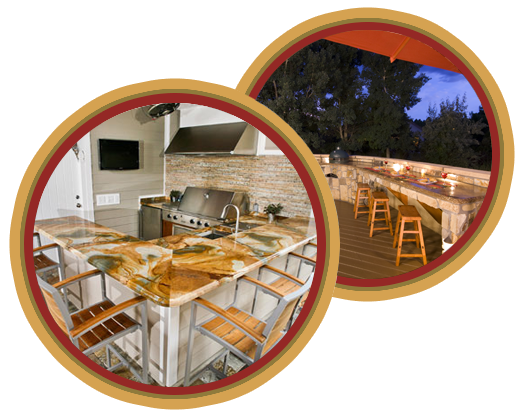 Our expertise applies from full-sized and fully-functional outdoor kitchens all the way down to simply constructing an attractive enclosure for your grill with a few feet of stone counter space. 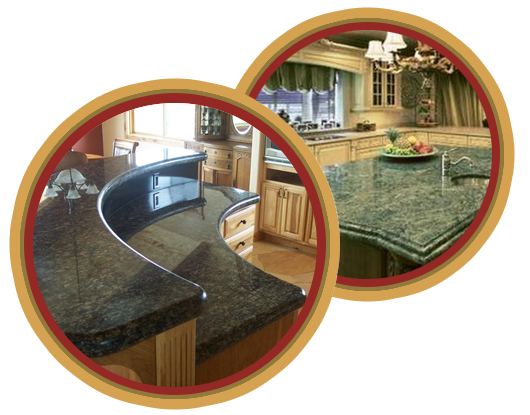 Our expert templater will come to your home to answer any further questions you may have and design a precise template for your new granite, marble, or quartz countertop. Welcome to Upon the Rock Granite and Marble, a family-owned and operated business serving the decorative stonework needs of clients in the Raleigh area since 2007. We provide top-quality design, fabrication, and installation services for countertops, backsplashes, fire surrounds, mantels, and sinks in granite, marble, quartz, and tile. We pride ourselves on upholding our two main principles: The first is to ensure that we maintain the utmost professionalism throughout your project, from choosing your materials right to the end of the installation process. The second principle is to strive for customer satisfaction with all of our clients. Having the most knowledgeable and experienced employees in the business, Upon the Rock will give you the answers you need and in a prompt and courteous manner. The customer is always our number one priority, and we treat every installation as if we were doing the work in our own home. Our process is designed specifically to ensure your satisfaction through every phase of your project. We start by helping you to select your ideal material to fit your aesthetic preferences and budget. Then, we construct a pre-installation plan based on precise measurements and consideration of all relevant details. After we expertly install your new decorative stonework, we follow up with you to confirm that you are pleased with the results of the completed project. 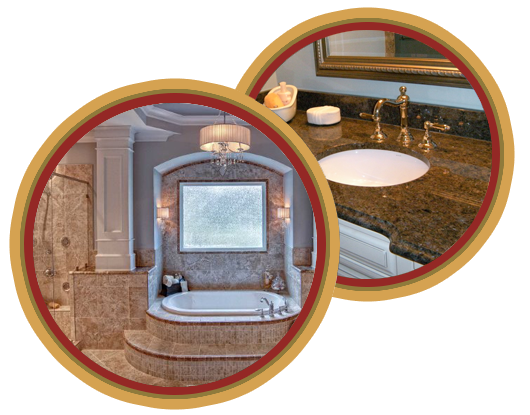 Call us today at 919-435-7866 to learn more about how we can serve all of your decorative stonework design, fabrication, and installation needs! Newly Expanded, One Stop Shop!